New FilterFAB 2500 FOAM is the most efficient filter adhesive available for air filter assembly. The two-part polyurethane compound requires as little as one-third the amount of its non-foaming counterpart, uses standard meter mix equipment and eliminates the need for special injection equipment to create the foaming effect. 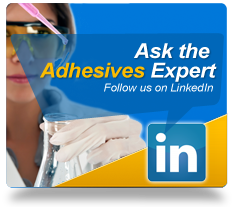 Franklin Adhesives & Polymers’ new Advantage EP-950A is exceptionally resistant to water and heat and recently passed ASTM E119 wall burn testing, on top of ASTM D2559-12a testing. It is an easy-to-use, environmentally safe acrylic-based EPI that develops low foam during curing and can be used on finger jointers, cold or hot presses. Visit us at Booth 507! Visit us at Booth 4252!